The aim of the course is to deliver a great value, intensive, supervised exercise regime with all the additional support needed to translate that in to actual fat loss. 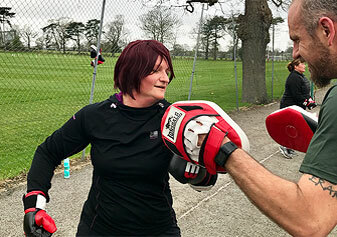 The course includes 16 one-hour sessions with a personal trainer, daily access to your very own team leader, a meal plan and a friendly team environment within which you will achieve your weight loss. There will be 3 team leaders: Jez Ranger, Dan Barnes and Elliot Favell, who will oversee your weight loss programme. You have daily access to your team leader, who will be monitoring your progress, health, and most importantly your emotional wellbeing and motivation. You will be encouraged to keep a diary, detailing not just nutritional intake, but exercise details, and how you are feeling overall about your progress. On the initial Saturday, we start by completing the initial weigh in which includes taking your weight, body fat and muscle percentages. There will then be a group exercise session. We understand how hard finding time to exercise can be so on Mondays, Wednesdays, and Fridays you will be provided with three opportunities to attend a one hour, supervised, structured, fat busting workout with one of the team leaders. There will be an early session at 6.45am, a daytime session at 11am, and an evening session at 7pm on each of these days to provide you with the greatest possible flexibility to fit the sessions into your daily lives. In between these supervised workouts your team leaders will give guidance individually as to whether or not and how much additional exercise you should be completing. On a Saturday at 7.00am there will be a team exercise day. These will be a fun but physical sessions where teams will train together followed by a small team challenge against each other. Before the session there will be a weigh-in. We will be using digital scales and measuring weight loss as a percentage of your initial weight. Your actual weight will be kept confidential and only details of your percentage loss talked about within the group. On the final Saturday, we complete the final weigh-in, with body composition analysis where we will find out who is The River Club Bootcamp Winner! You will receive an individual result package detailing your success. Contact us for more information or to book a trial session.